When there is a bomb scare in Hong Kong, it usually doesn’t have anything to do with modern-day terrorism. It’s more often a reminder of World War II. In February 2014, construction workers in Happy Valley unearthed an unexploded 2,000-pound American bomb that had been dropped on Hong Kong during the final days of its occupation by the Japanese. Police superintendent Jimmy Yuen arrived to find a potentially disastrous situation: the bomb was surrounded by a hotel, schools, a hospital and a Sikh temple. Moving it was out of the question; so was a controlled explosion, because the bomb was so powerful. Yuen and his team decided they would need to create two small holes in the bomb so they could defuse it. They worked through the night, carefully cutting through the bomb’s shell, stopping whenever their equipment made the surface too hot. They finally succeeded after nine hours of work, defusing the bomb just in time for the morning rush hour. Though its size was unparalleled, this was hardly the only World War II bomb discovered in Hong Kong. In 2015 alone, police discovered four unexploded grenades, three Japanese bombs, a mortar and 54 rounds of ammunition in the country parks that surround the city’s residential areas. Another bomb discovered by construction workers in Victoria Park—the city’s largest urban green space—took three days of preparation to destroy in a controlled explosion. Hong Kong is a city that constantly remakes itself: in many parts of town, each plot of land has been redeveloped three, four or even five times over the past century. The frenzied street markets and glossy shopping malls don’t offer many opportunities to reflect on the past, let alone the time in 1941 when Hong Kong was the site of an intense battle between Allied forces and Japanese invaders. Like the bombs, the history of the war has long been ignored and forgotten – but it is finally coming back to the surface. The Mercat dels Encants in Barcelona. The Mercat dels Encants rises like a mirage in the heart of Barcelona, the city shifting and shimmering across its enormous mirrored canopy. Completed in 2014, the structure is part of a vast redevelopment of the area around the Plaça de les Glòries Catalanes, but it isn’t a glitzy shopping mall: it’s a new home for a ragtag flea market that has thrived on Barcelona’s streets for more than a century. “You can feel its presence from a distance,” says the market’s architect, Fermín Vázquez. The picture in Hong Kong isn’t as rosy. Whereas Barcelona invested 56.4 million euros in building a new home for the Mercat dels Encants, similar markets in Hong Kong languish under a government policy that supports their gradual eradication. Increasingly, though, local architects and designers are banding together with hawkers and community activists to help markets survive. There’s a piece of Hong Kong in Shenzhen – or to be more precise, 44 pieces of it. Hong Kong Typology, an exhibit by Swiss architects Emanuel Christ and Christoph Gantenbein at the Bi-City Biennale of Urbanism\Architecture (UABB), features scale models of Hong Kong’s most typical buildings. Tong lau, pencil towers, cruciform apartment blocks – it’s like a collection of puzzle pieces you can put together to build the city. Each of the models was made in Hong Kong and shipped to Shenzhen. They are meant to represent the anonymous bulk of the city’s buildings, the unglamorous backdrop to the city’s more recognisable attractions. Visitors may spot some familiar structures, like the rounded, wedding-cake balconies of the 1950s-era Mido Café in Yau Ma Tei, most of the models inspire a sense of vague déjà-vu: they’re familiar but hard to place. When Douglas Coupland called Vancouver the “City of Glass” in a 2000 book of the same name, the moniker stuck – not because the author/artist was making some kind of metaphorical statement about the city’s character, but because it was literally true. Vancouver’s 30-year housing boom, which started in the mid-1980s and has continued to the present, with few interruptions, has left it with a thicket of glass-walled apartment towers that seem almost apologetic about their intrusion into the city’s beautiful natural surroundings. Things seem ripe for a change. In recent years, some of Vancouver’s developers have made an attempt to break the mould with new residential towers that stand taller, punchier and more eccentric than anything before. Vancouver architecture lacks “really special moments,” lamented developer Ian Gillespie last year. He seems prepared to put his money where his mouth is: his latest project is Vancouver House, a 59-storey apartment tower designed by Bjarke Ingels that twists its way up from a narrow space between two elevated roadways. It has nearly twice as much floor space on its upper floors as it does at ground level, which will make it a conspicuous presence in a city known for its skinny towers. On the other side of Vancouver’s downtown peninsula, Beijing-based architect Ole Scheeren recently revealed the design for a another top-heavy tower, this one a 51-storey structure whose protruding apartments have already earned it comparisons to the block-stacking game Jenga. “There seems to be quite a lot of readiness in Vancouver to go beyond where they are [right now],” says Scheeren. The Tung Fat Building seemed like the perfect opportunity for Victoria Allan to venture into property development. The nine-storey, 1960s-era building was a classic example of Hong Kong’s postwar tong lau tenements, known for their minimalist Streamline Moderne architecture, and it occupied a prime spot on the waterfront of fast-gentrifying Kennedy Town. But Allan, who runs upscale real estate agency Habitat Property, had no idea just how difficult her venture would prove. Renovating the Tung Fat turned into a decade-long ordeal – though one that has paid off handsomely, in design terms if not yet financially. All told, it took ten years to renovate the Tung Fat – five to acquire each of the building’s individually-owned units and another five to renovate according to the strict standards of Hong Kong’s Buildings Department. “Most people redevelop the site, so they’re not used to people who want to renovate and upgrade it,” says Allan. She made around 20 separate submissions to the department, some for major additions like a lift, others for minor changes like plumbing works. What complicated things was that, like many older buildings in Hong Kong, the Tung Fat had been subjected to decades of illegal modifications, and the Buildings Department insisted that Allan restore the building to its original state before proceeding with any changes. That led to some Kafkaesque situations like installing a useless wheelchair ramp that had to be demolished: according to the original building plan, the footpath out front was several inches lower than it is today, so even though it had been raised over the years, the Buildings Department would not re-survey it until a ramp had been built to meet modern-day access codes. Bologna has extraordinary light. This is thanks not only to buildings painted in rich hues of red and orange, but to the city’s 45 kilometres of sidewalk arcades, which filter the sun into geometric shadows and turn sidewalks into softly glowing chambers. These arcades are not simply beautiful: they are a profoundly democratic innovation that enshrine the notion that streets should be comfortable, accessible gathering places. 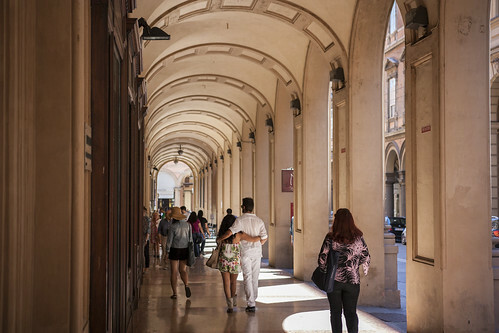 Sidewalk arcades are better known in Bologna as porticoes. They first emerged more than 1,000 years ago, but their construction was made mandatory in 1288, when civic leaders recognized their usefulness to the public. Bologna is hardly unique in this regard, as sidewalk arcades became common, either by law or by habit, in cities around the world. In prewar Hong Kong, virtually every sidewalk was sheltered by porticoes — as was the case in Guangzhou, Taipei, Singapore and every other hot, rainy southeast Asian city. What is curious is why they disappeared so quickly in the 20th century. Even in Bologna, they grow thin on the outskirts of the city – a building here or there, but nothing on the scale of the historic centre. At least they’ve been well preserved in the core. 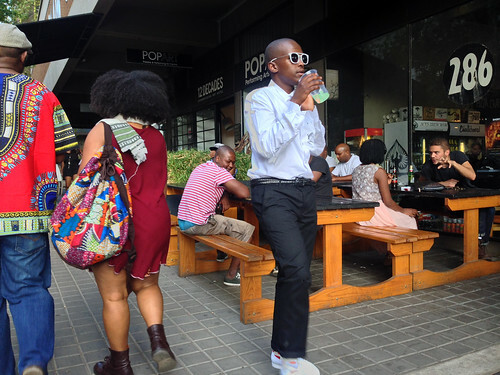 The skies threatened rain, but the streets in Braamfontein were buzzing. On De Beer Street, crowds spilled out of the ground-floor bar of the Bannister, a hotel with retro 60s signage. Across the street, the scene was even more intense at the Neighbourgoods Market, which every Saturday transforms a parking garage into the most fashionable spot in Johannesburg. Downstairs, a crowd danced to a raucous jazz band. Upstairs: cocktails, street food and clothes made by local designers. This was not the South Africa I had been warned about by people fed on a steady drip of news stories about violence, corruption and urban decay. Johannesburg in particular has been the subject of countless sensational stories about crime and abandonment, but my visit to the city revealed something far more compelling: rebirth. For all its troubles, Johannesburg felt like a city on the up and up, a place with the hustle and energy of a great metropolis in the making. What wasn’t clear was how widely the fruits of its renaissance will be spread. Other architects have tried and failed. For 18 years, the site at the corner of Wangfujing and Wusi streets has seen 30 proposals come and go, each bedevilled by the height restrictions and commercial pressures that come from being one of the last major building sites in close proximity to Beijing’s Forbidden City. Now, finally, a success: the Guardian Art Center, designed by German-born, Beijing-based architect Ole Scheeren for 22-year-old auction house China Guardian. Construction is already underway on the 34-metre-high complex, which will house an auction house, exhibition space, educational facilities, a hotel and restaurants. This is Scheeren’s second major project in Beijing, the first being the controversial CCTV headquarters he designed with Rem Koolhaas while working at OMA. That was what brought him to the Chinese capital more than 12 years ago, but in 2010, Scheeren parted ways with OMA, founding Buro Ole Scheeren. Since then, the practice has steadily built a diverse portfolio of projects ranging in scale from skyscrapers to artist’s studios. Guiding all of these projects is a desire to tinker with conventional building forms and typologies. “We’re in the role to challenge our clients, not only to supply architecture,” says Scheeren. In the Guardian project, he has designed a building that reconciles its disparate surroundings: centuries-old hutong alleys on one side and blocky commercial architecture on the other, not to mention the Stalinist chinoiserie of NAMOC, the National Art Museum of China, which sits nearby. Last month, when Space Invader was looking for friendly walls to mount his tile-based art, the French street artist found an enthusiastic response in a place far from the galleries and graffiti of Sheung Wan: Sham Shui Po. “The reception was really good,” says Lauren Every-Wortman, a curator at the HOCA Foundation, which sponsored Space Invader’s most recent trip to Hong Kong. 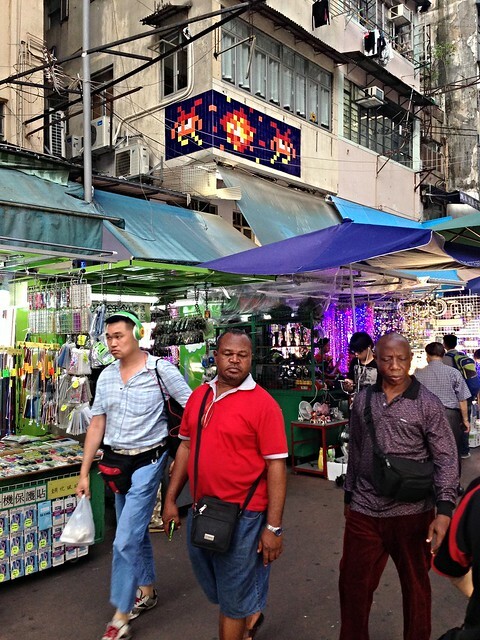 Space Invader isn’t the only one enthusiastic about Sham Shui Po. Ask many Hongkongers about the neighbourhood and they’ll tell you it’s a good place to shop for electronics – but be sure to watch your bag. These days, however, a new generation of creative entrepreneurs are finding the working-class Kowloon neighbourhood is a haven of low rents and friendly neighbours. That’s especially true in the textile district south of Nam Cheong Street, where many wholesale shops have been forced out of business as their source factories flee the Pearl River Delta for cheaper pastures. Some holdouts have been replaced by new businesses run by young designers that have banded together to help promote the neighbourhood in a newsletter and on social media. Hopare working in Sheung Wan. 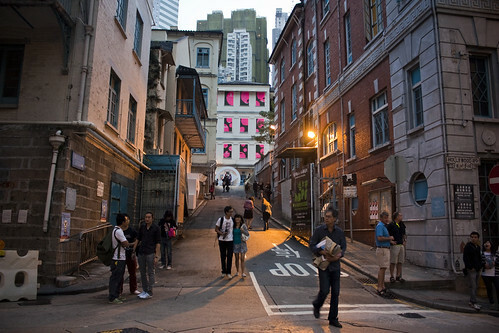 This wasn’t a covert bombing; the mural was commissioned by Print House, a custom screen-printing t-shirt shop, in collaboration with HK Walls, a group that connects street artists with Hong Kong’s willing walls. In March, HK Walls will held its second annual street art festival in Sheung Wan, with live graffiti writing and mural painting by around 20 local and international street artists. As 4Get worked on the Print House mural, the group watching hoped it would convince Stanley shopowners to stage another edition of the festival in the South Side neighbourhood. Hong Kong never had much of a street art culture compared to cities in North America and Europe, but things are changing, thanks to organisations like HK Walls, an influx of expat artists and the attention generated by international artists like Space Invader, whose bombarded the city with video game-inspired tilework last year, only to have much of it quickly removed by the government. “In the past four years, it’s taken off,” says Stern Rockwell, a veteran graffiti writer from New York who moved to Hong Kong five years ago. Hong Kong is riding on the tail of a global wave in street art that began in 1970s New York and exploded in popularity with the internet, as photos of works from the streets of New York, London and Berlin were circulated around the world. Some of the most famous artists in the world are now street artists; Banksy is virtually a household name. It’s also big business: in January, a replica of one of the Space Invader pieces removed by the government, a kung fu fighting dog modelled on the 1970s cartoon character Hong Kong Phooey, was auctioned by Sotheby’s for HK$1.96 million. None of that seemed possible when Rockwell was growing up in 1970s Brooklyn. He was fascinated by the graffiti that covered the subway. “I asked my mom, ‘How did they do that?’” he recalls. By the time he reached high school, he was joining other graffiti writers in the Park Slope subway layup. “Some nights you could catch 100 cars parked on the tracks,” he says. 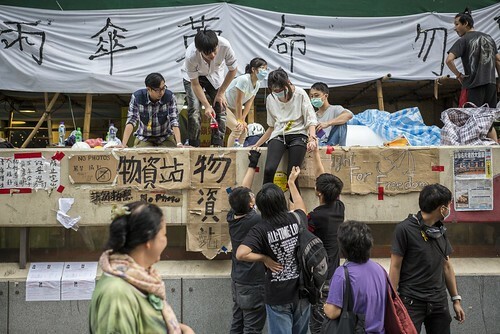 It has been more than four months since Occupy Hong Kong’s pro-democracy encampments were cleared away, but the Umbrella Revolution continues to evolve. More than a protest in favour of genuine universal suffrage, the 79-day occupation sparked a “revolution in public consciousness.” Among the notions being overturned: Hong Kong’s neoliberal approach to managing the urban environment, which has for so long deprived the city of genuine public space. I was away for the first three weeks of Occupy, and by the time I returned to Hong Kong, the occupied areas had become entrenched. When I first visited the Admiralty site, located on a normally traffic-clogged highway called Harcourt Road, I was astonished to see it had become a self-organized tent city. Volunteer carpenters used scrap furniture and bamboo rods to create staircases across highway barriers. One traffic lane was occupied by a makeshift study centre, complete with desks and generator-powered lights, that was always filled with teenagers and university students hunched over their books. A library emerged near the entrance to the Legislative Council, Hong Kong’s equivalent of a parliament, with donated bookshelves filled with pop culture magazines and works of political philosophy. Art was everywhere. There were portraits of activists and cartoons denouncing Hong Kong’s chief executive, CY Leung (whom activists see as a puppet of Beijing). The area around a wood sculpture of a man holding a yellow umbrella came to be known as Umbrella Square. Nearby, a curving concrete staircase was covered in messages of multi-coloured Post-It messages of support; it was called the Lennon Wall, after the late Liverpudlian peacenik. If Admiralty was personified by middle-class students and office workers, Mongkok was their chain-smoking, van-driving cousin. The atmosphere was edgier than Admiralty but in many ways more vital, because the neighbourhood is such a crossroads of different people. There were always lively discussions and passersby reading the posters that had been affixed to every surface. (Mainland Chinese tourists always seemed especially curious.) The Mongkok site extended down Nathan Road, a major artery that had been liberated from the diesel fumes that normally cloud its air. There was a makeshift altar to Kwan Yu, the Chinese god of war, which attracted worshippers who planted fresh incense throughout the day. Just a few metres away, a group of Catholic protesters had built a shrine that came to be known as St. Francis’ Chapel on the Street. There was an ad hoc library and a space for nightly film screenings. It’s one of those mid-summer days when it seems impossible to escape the heat, so it comes as a relief to step into the air-conditioned room that houses Sparkle! Can We Live (Together), an oddly-named exhibition that explores the relationship between artists and the communities in which they live. It’s interesting stuff, especially the documentation of art collective Woofer Ten and designer Michael Leung’s work with urban farmers around Yau Ma Tei. But my attention is also drawn to the venue of the exhibition: the original headquarters of the Royal Hong Kong Yacht Club, built in 1908. Last year, it was carefully renovated and converted into Oi!, a community art centre whose name is a goofy reference to its location on Oil Street. Oi! is one of many historic buildings that have been converted into cultural venues in recent years. It’s a remarkable turn of events, because for most of its history, Hong Kong never cared much for its past. There were no lessons in Hong Kong history at school, no concern for the origins of local delicacies like pineapple buns and milk tea. And there was certainly no care for the old stone buildings that thronged the shores of Hong Kong Island and Kowloon, their mouldy façades and fussy balustrades seen as little more than impediments to property development – property being the only surefire way to become rich in this city with such little soil and so much sea. Of course, Hong Kong is no longer the grab-and-dash frontier it once was. With maturity comes hindsight and a sense of regret. Last year, I had lunch with a well-to-do businessman with a lifelong passion for architecture. “When I was a boy I used to stare up at the old post office,” he said, recalling the Victorian pile of ornate stonework that once stood on Pottinger Street. “Then Li Ka-shing fucked it up.” World Wide House rose in its place, remarkably unremarkable in appearance, notable only for the Filipino shopping arcade that occupies its lower floors. The fact that it evoked such passion in an otherwise even-tempered businessman says a lot about the long-suppressed emotions that have recently come to surface. I’ve been seeing a lot of old Hong Kong photos lately. There was the John Thomson exhibition I wrote about last year, along with an even larger show of historic photography at the Museum of History. HSBC has just unveiled a new historical exhibition in the public space beneath its headquarters. Even Nick DeWolf’s photos, which we wrote about four years ago, are back and once again making the rounds on the web. 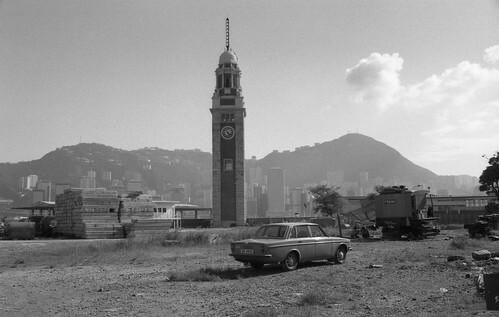 What’s shocking about all of these old photos is just how much Hong Kong has changed. Not only have the stone shophouses and handsome colonial buildings disappeared from the landscape, there have been some enormous landmark structures that seemingly vanished without a trace. The Peak Hotel was a cascading pile of Victorian masonry that was destroyed by fire in 1938; a bland shopping mall now occupies the same site. The Cathedral of the Immaculate Conception once featured a Gothic clock tower that was ignominiously demolished to make way for an access road. The Taikoo Sugar Refinery once loomed over Quarry Bay; Causeway Bay was once an industrial neighbourhood, as was Hung Hom, with its dockyards and brick power station; all of this is gone, visible only in archives and the odd street name. 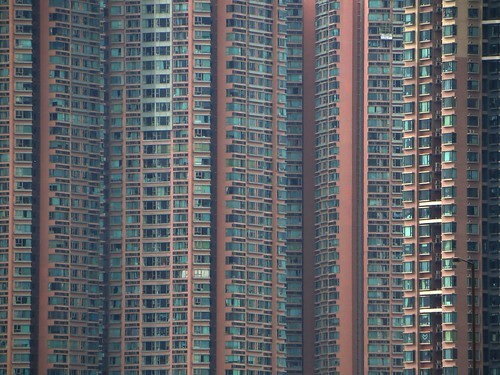 What’s wrong with a typical Hong Kong apartment? Lots. Not only is the average apartment just 450 square feet in size, it is loaded with features that make it less, rather than more, liveable. There are bay windows, tiny rooms, odd layouts, unusably small balconies and a complete lack of storage space. Why do these problems exist? And how can they be dealt with? “It’s all about money,” says Keith Chan, director of interior design firm Hintegro, with specialises in home renovations. That’s true in both senses: developers save money by downloading maintenance and customisation costs onto homeowners. Architect Jason Carlow says this is the result of an unholy union between cost-cutting, profit-hungry developers and an extremely strict building code that imposes many requirements on flat design, but also gives developers a discount on the gross floor area (GFA) of the development if they include certain features. “Because of the high land values, more than any other city, the built environment of Hong Kong is a direct reflection of the building codes of that time,” says Carlow.